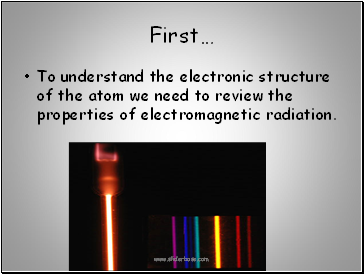 To understand the electronic structure of the atom we need to review the properties of electromagnetic radiation. 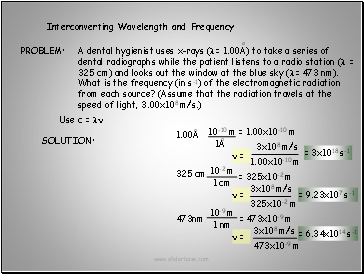 The waveheight or amplitude determines radiation intensity. 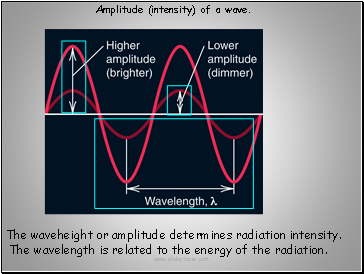 The wavelength is related to the energy of the radiation. 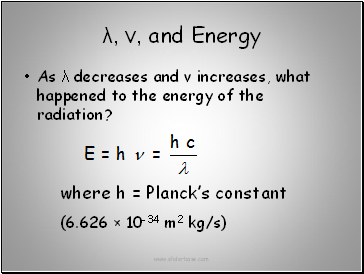 As λ decreases and ν increases, what happened to the energy of the radiation? 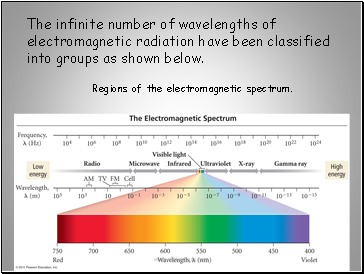 Regions of the electromagnetic spectrum. 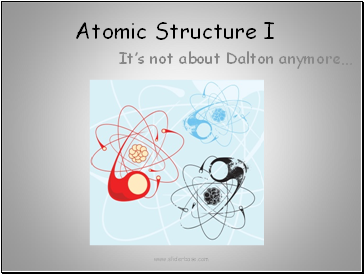 into groups as shown below. 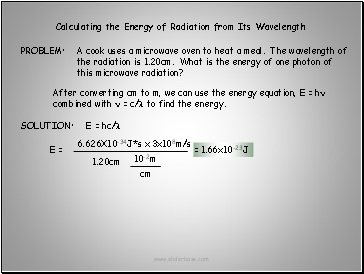 After converting cm to m, we can use the energy equation, E = hn combined with n = c/l to find the energy. 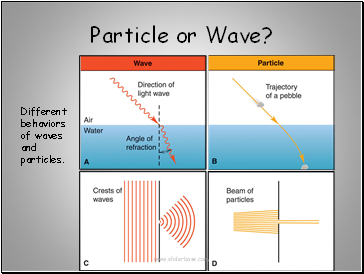 Different behaviors of waves and particles. passing through two adjacent slits. 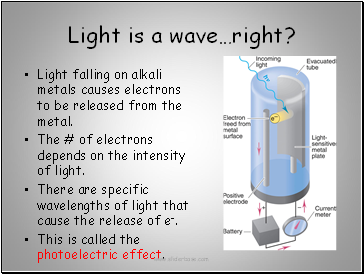 Light falling on alkali metals causes electrons to be released from the metal. 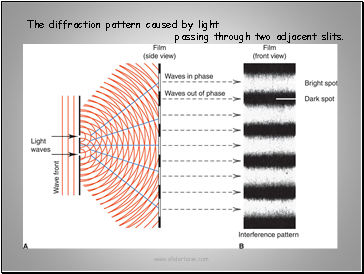 The # of electrons depends on the intensity of light. 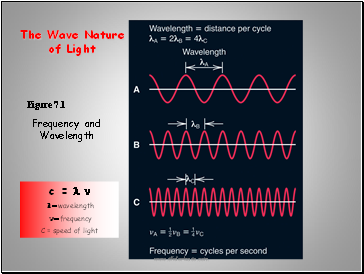 There are specific wavelengths of light that cause the release of e-. 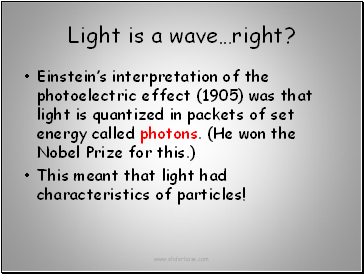 This is called the photoelectric effect.